Two GomSpace-built smallsats — GOMX-4 — were successfully launched from Jiuquan Satellite Launch Center (JSLC) in China on February 2 at 8:51 CET. Artistic rendition of the GOMX-4 smallsats. Approximately 12 minutes after launch, both satellites were successfully released from the launcher at an altitude of 503 km. in an inclination of 97 degrees. At 15:05 (CET), the company established radio contact with the satellites from the company’s HQ in Aalborg (Denmark) and the initial activities to ensure that the satellites are operating as planned have been initiated. Testing each of the individual subsystems will begin after initial contact, which is expected to take three to four weeks. Full mission operation will begin in March after completion of subsystems and payload testing. Roger Walker, ESA’s Technology CubeSat Manager, congratulated the Gomspace team and all the partners in the project for the successful start of the mission. The company now looks forward to the satellite being commissioned and brought into service in the coming weeks in order to advance the state-of-the-art and demonstrate on orbit the key technologies needed for future smallsat constellations. GOMX-4 is a demonstration mission which includes two 6U cubesats: The GOMX-4A mission involves north area monitoring and the GOMX-4B mission is for innovative payload demonstrations. It will monitor and demonstrate Satellite Communication between smallsats, and the on orbit results and experiences gained from the GOMX-4 experiences will provide knowledge, information and experience for scaling to more advanced communication schemes required by larger smallsat constellations. 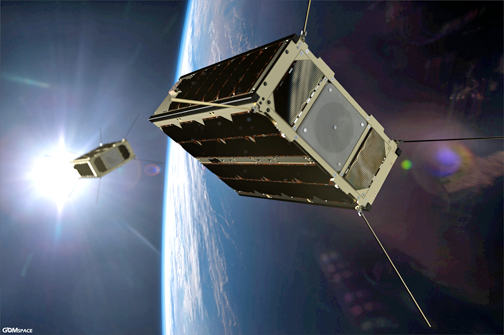 GOMX-4 are twin siblings following the successful GOMX-3 mission and represent the new generation of smallsat platforms. GOMX-4B is funded by ESA and this smallsat has been designed to be the most advanced cubesat for intelligence operations (IOD). The satellite is based on the innovative and flexible 6U platform from GomSpace and will d the operations of 6 payloads on-board. (The main payloads are a 6U propulsion module from NanoSpace, the innovative S-band Inter-Satellite Link (ISL) (link) from GomSpace and the High-Speed Link (HSL) (link) from GomSpace with high data rate capacities. Additionally, this satellite accommodates the Radiation Harness Assurance Board, called Chimera, developed by ESA to evaluate the behavior in Space of different ceramic memories and two new optical devices, the HyperScout Hyperspectral Camera from Cosine and a Star Tracker developed by ISIS. GOMX-4A is a satellite which will provide data for the Danish Defence Acquisition and Logistics Organization (DALO) and thereby contribute to the monitoring of the Ministry of Defense's responsibility in the Arctic. The satellite contains radio receivers capable of capturing position signals from ships and aircraft. Even with different payloads and mission goals, the two satellites will work together using an Inter-Satellite Link to optimize their capabilities to share data and to transmit it to ground. The life expectancy of the GOMX-4 nanosatellites is three to five years and they will be fully operated by GomSpace during that period. The GomSpace CEO, Niels Buus, said that the GOMX-4B satellite is the most advanced satellite design the company has initiated to date and ESA's participation in this project will demonstrate possibilities of satellites flying in formation, assess the tandem effect synergy that open the doors to commercial opportunities for using the platform in future constellations for the firm's customers. The company also looks forward to working closely with DALO and DTU on this project and jointly develop and demonstrate the GOMX-4A mission. GomSpace satellite and radio technologies are a perfect match for monitoring the vast and remote arctic area, with the satellite flying over the scene every 90 minutes. 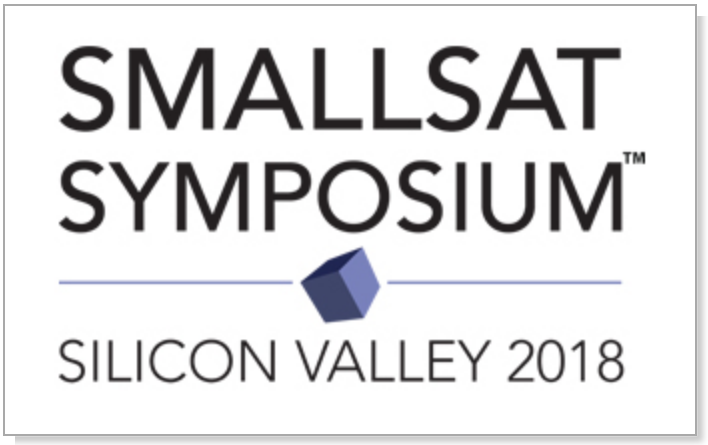 A mere two days remain to register for the SmallSat Symposium, which will occur from February 5 through 8 at the Computer History Museum in Mountain View, California. Attend this major event that will find leading experts and investors presenting to attendees regarding the shaping of the SmallSat market of tomorrow.